The Chicago Tribune has reported on a very sad story involving 27-year old Dan Crews of Antioch, who has publicly stated he would rather have his life end than spend his remaining days in a nursing home. Mr. Crews has been paralyzed since the age of 3 when he was involved in a motor vehicle collision and the child safety seat in which he was secured allegedly did not protect him adequately. His family obtained a financial settlement from the corporation responsible for this accident. That settlement has since allowed Mr. Crews to receive nursing care and to live in his own home with family. However, Mr. Crews has surpassed all expectations for the length of his life and the settlement funds have dwindled to the point where he risks losing his home and not being able to pay for necessary nursing care. Mr. Crews potentially faces having to move to a nursing home. It speaks volumes about the unfortunate instances of abuse and neglect that occurs in many Illinois nursing homes that Mr. Crews would rather have his life end than spend the rest of his life in a nursing home. Mr. Crews obviously fears that he would be another "statistic" and be subjected to nursing home abuse and neglect. Nursing home abuse and neglect is inexcusable whether the resident be young or old. It is inexcusable if the resident can take care of most of their activities of daily living (ADLs) or if they need assistance with all of the activities of daily living. It is inexcusable if the resident can ambulate on their own or if they need assistance with ambulation. The Illinois Nursing Home Abuse & Neglect Attorneys at Keating Law Offices, P.C. are committed to representing victims and their families. 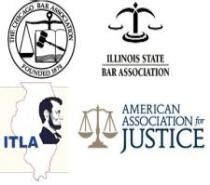 It is the firm's strong belief that active prosecution of nursing home abuse and neglect case, both criminally and civilly, is part of the solution to ending the tragic frequency with which abuse and neglect occur in Illinois nursing homes.